Obituary for Maxine Schaffer | Hunter Funeral Home, Inc.
Vivian Maxine Schaffer, 92, of Marcelline passed away on Sunday, September 9, 2018 in Blessing Hospital in Quincy. Maxine was born on July 17, 1926 in Valley City to the late Herbert T. and Velma (Robbins) Ballard. She married Maurice Carl “Smokey” Schaffer on January 20, 1946 in Palmyra, Missouri. Smokey passed away on March 20, 2012. Maxine retired from Davis Cleaver and was a member of the Machinists Union for over 50 years. 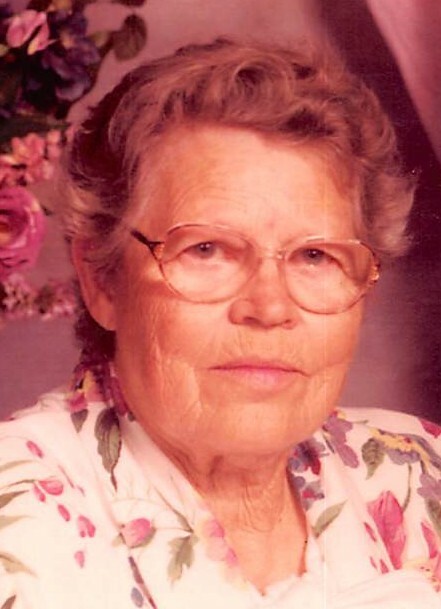 She was a member of Zion Church in Ursa and enjoyed reading, writing, drawing, gardening, camping, fishing, singing, reading and writing poetry and crossword puzzles. Surviving are; eight children, Dorothy (Glen) Faith of Minnesota, Gary Schaffer of Idaho, Ray (Debbie) Schaffer of Missouri, Rick (Sherry) Schaffer of Illinois, Bruce (Kathy) of Arkansas, Alan (Sandy ) Schaffer of Illinois, Patricia (Lester) Mayfield of Illinois, Steve (Deborah) Schaffer of Utah, Twenty two grandchildren, forty great-grandchildren, three great-great-grandchildren; six siblings, Martha Jean, Marian, Georgia, Kenny, Bobby and Floyd. She was preceded in death by a daughter, Carol Rogers, eleven brothers and sisters; one grandchild and one great-grandchild.